In winter, we get stuck in beauty ruts, indulge in sugary sweets, stick to the same makeup look, and hide our dry skin from the world under turtlenecks and pants. In summer, we let our skin shine, show off our natural beauty, and experiment with new techniques. Getting that glow back, protecting your hair from the sun, and boosting those endorphins take some efforts. And who is better to start this summer beauty growth with than your friends? Instead of simply lounging around all season staring at your phones and sipping Diet Coke, make some plans with the ladies to amp up your beauty and wellness routine. Your body and reflection will thank you for the love. Have a spa night! A face mask is required. Yes, this may take you back to slumber parties in high school/college, but what is wrong with that? Face masks are a wonderful way to beat any summer skin issues you may be suffering with. Get together with the girls, discuss your favorite products, what is on your shopping list, and let your favorite face mask work its magic. Nights like these help to relieve stress, rekindle your friendship, and clear any problematic skin. Increase your fruit intake. Eating fruit is not only a delicious way to curb sugar cravings, it also adds a glow to your skin, helps with hydration, and clears breakouts. And in summer who doesn’t want to lay back and relax with a delicious cold drink? Making fun recipes and smoothies is something else you can do together. Head to an organic market and pick up your must have ingredients: bananas, strawberries, pineapple, mango, the options are endless. You can even grab some spinach and kale to boost your green intake. Then taste-test a bunch of different recipes. You will do your body a big favor. SPF is your BFF. 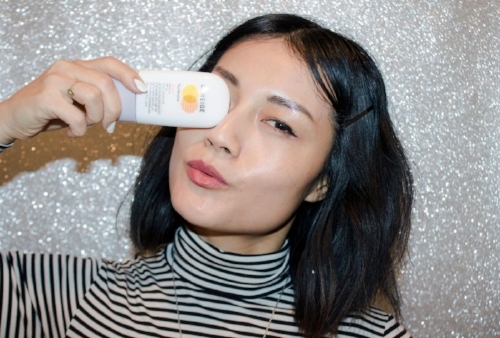 How is wearing SPF fun? Well it may not actively be, but in retrospect you decrease the chances of sunburns and aging. A lot of us forget the SPF, yep, even in 2018. So when you are with your friends, remind one another not only to slap on the sunscreen, but also reapply every 2 hours, especially if you have been swimming. Maybe in winter you were good with sun protection in your makeup, but when you are at the beach, pool or wearing shorts, you want to protect yourself from all the nasty things caused by sun damage. Try a hat. This is a form of protection that is a little more fun and fashionable. Go hat shopping with your girls. Wearing a hat is not only stylish and so on trend, it helps to better protect your sensitive skin from the sun, plus it keeps your hair away from the harsh UV rays as well. So go for a baseball cap, a wide brimmed sun hat, a panama style, or a fedora. Just make sure your friends are 100% brutally honest when telling you which you can pull off. Exercise. I know, I know. You have heard this from your mom, your gym-going friend, and your doctor. But seriously, exercising boosts all the feel good chemicals in your body. It helps you sweat out toxins, adds a glow to your skin, and miraculously gives you more energy. And since it is summer, you do not have to waste your day in a stinky gym. You can go hiking with friends, play a game of beach volleyball, or go for a bike ride. I mean when was the last time you rode a bike? 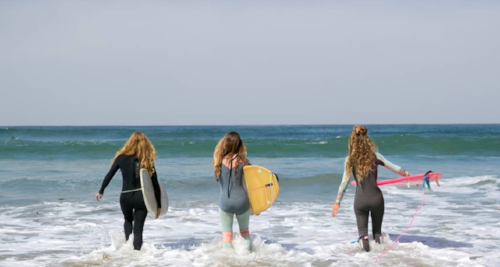 You can even take surfing lessons if you live near the ocean. It does not have to be a dull and sweaty day. You can make it a fun activity to do with friends and get some killer Instagram photos. Just be sure to use sun protection as always. Help a friend with her tan; a fake tan that is. And this is true for all ethnicities. With all this talk about protecting your skin from the sun you might be feeling a little pale. In that case, there are hundreds of self-tanning products on the market just waiting for you to try. Mousses seem to be the most user-friendly, especially for beginners. But we all have those hard to reach spots like right in the center of the back. That is where friends come in. You can help each other even out complexion to perfection. That way through all your summer beauty fun, you will have a glorious yet safe bronze glow. Ross would have never had that problem if he just had a friend helping him out with his backside.